Christmas is a time of year to relax and have some fun after a long working year, and if you’re looking for the perfect venue to celebrate the festive season in Slough, then we’ve got a great selection of shared and exclusive Christmas parties that you and your group will love! Our Slough Christmas parties aren’t just for corporates or companies; they’re also perfect for groups of friends, organisations or clubs, who are looking to celebrate with an unforgettable party night. Whether you’re looking for a shared Christmas party or an exclusive Christmas party, we’ve got everything you need right here! We work with only the best venues around, so you’ll be able to rest assured that you’ll be in good hands when it comes to planning your celebration with the venue’s dedicated events team! 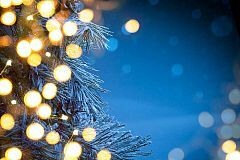 It’s time to indulge in some tasty festive food, raise a glass and get merry – why not take a browse of our top Christmas parties in Slough today? Shared Christmas parties are growing in popularity, and it’s easy to see why. These Christmas events also known as joiner parties are a cost-effective solution for those small to medium sized groups, which will allow them to experience a large and vibrant party atmosphere, without exceeding the budget. You’ll find everything you need within these amazing Christmas packages – from irresistible Christmas dishes with all the trimmings to top-class entertainment and of course, a lively festive atmosphere which everyone will love. You really can’t go wrong with one of these shared Christmas parties! We understand that a shared party isn’t for everyone; maybe you’re part of a large company and would prefer to just keep the event to your team only. If so, then we recommend organising an exclusive Christmas party in Slough. You’ll still enjoy all the festive elements of our offered shared nights, but you won’t be sharing your event space with others from different groups – the night is completely yours! You’ll also enjoy more flexibility with an exclusive event too; maybe you’d like to start the event slightly earlier and have an ice-cold drinks reception on arrival to mark the start of the evening? Or perhaps you’d like to feature a late night snack to fuel everyone for the cold journey home? Whatever it is you’re looking for, the events team at each venue will be more than happy to discuss any ideas you may have and help make them a reality! It’s time to make your exclusive Christmas party in Slough something unforgettable! If you’ve found the perfect party package from our shared and exclusive Christmas party selection and would like to take the next steps, then enquiring online via Eventa really couldn’t be simpler! All you need to do is fill out your details on your chosen party listing’s enquiry form and click send. Your enquiry will then be sent straight to the venue, who will be in contact with you to speak to you further about your Slough Christmas party requirements. You will also receive an email from the team here at Eventa, which will provide you with contact details for the venue you enquired about, along with a unique reference number for your records.